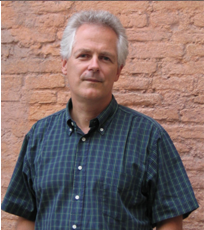 Philip Willan is an author and freelance journalist specialising in Italian parapolitics. He has worked in Rome for more than 30 years and is the author of Puppetmasters, The Political Use of Terrorism in Italy, first published by Constable in 1991. His latest book, The Vatican at War, From Blackfriars Bridge to Buenos Aires, was published by www.iuniverse.com in September 2013. It examines the murder of Roberto Calvi in the context of the Vatican's engagement in Cold War anticommunist intrigue, part of a complex legacy of historic problems that confronted Pope Francis on his election. In the past he has contributed research to David Yallop's best-selling In God's Name, about the alleged murder of Pope John Paul I, and Charles Raw's The Moneychangers, an analysis of the relationship between the Banco Ambrosiano and the Vatican bank. When Pope Benedict’s butler began leaking secret Vatican documents to an Italian journalist he was motivated by a desire to save the Catholic church from what he saw as a mounting tide of corruption. Among the issues he felt should be brought to the attention of the pope and the public were the roles of freemasonry and the secret services in Vatican affairs, and the mysterious disappearance of a Vatican schoolgirl, Emanuela Orlandi. The Orlandi affair ties the present travails of the papacy to the Banco Ambrosiano scandal and the death in London of its chairman, Roberto Calvi. The banker found hanging under Blackfriars Bridge was caught in a web of Cold War intrigue, from which the Vatican is still trying to extricate itself. Now updated and expanded, this book was first published as ‘The Last Supper: The Mafia, the Masons and the Killing of Roberto Calvi’. Puppetmasters reveals how US intelligence services exploited the P2 masonic lodge to prop up friendly Christian Democrat-dominated governments and counter the growing political influence of the Italian Communist Party. It was a ruthless strategy involving coup plots, right wing terrorist bombings and the manipulation of the Red Brigades. And gave Italy one of the bloodiest and most protracted periods of terrorist violence ever seen in a modern, industrialised society.